Smart Layout allows you to create branches on your map, whilst respoistioning your other branches automatically to ensure that they don't overlap. It enable you to add branches and ideas at speed without needing to worry about repositioning them manually. Smart Layout is enabled by default. 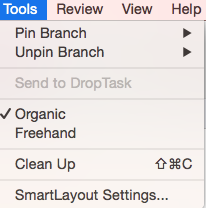 Clean Up enables you to organise your Mind Map in an instant. Clean Up can be found in the Layout tab in the main toolbar. By selecting the Clean Up button, you will see that you map will condense to make your branches appear more balanced. 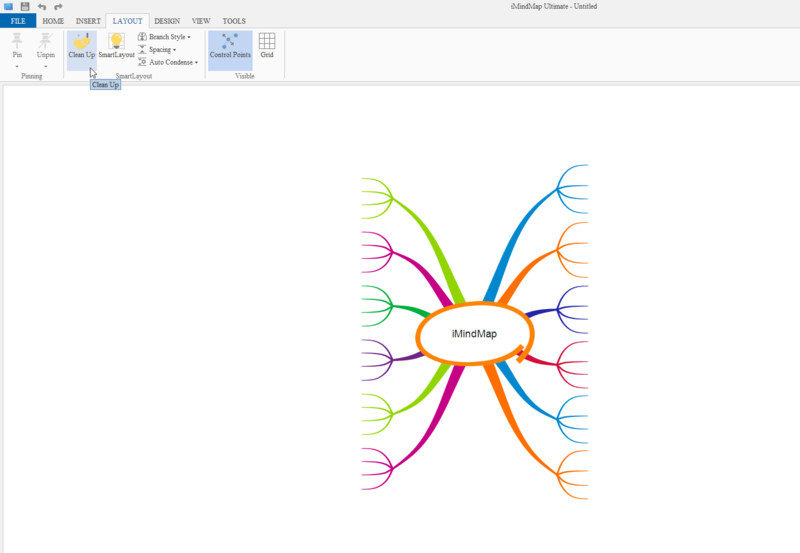 This can be used at any stage of your Mind Mapping, saving your from having to move your branches individually. 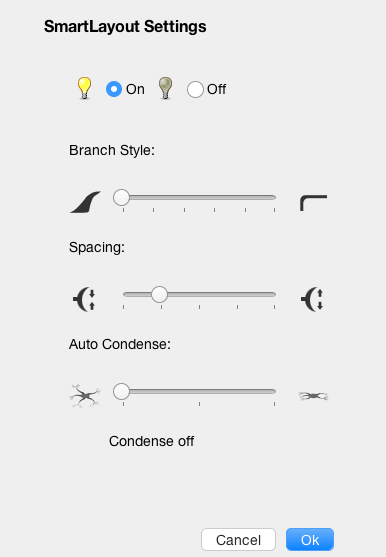 This will bring up a menu where by you can adjust the Branch Style, amount of Spacing between branches and the Auto Condense settings using the slide beneath each setting. Smart Layout allows you to create branches on your map, whilst repositioning your other branches automatically to ensure they don't overlap. It enables you to add branches and ideas at speed without needing to worry about repositioning them manually. Using the Clean Up button, you will see that your map will condense to make yur branches appear more balanced. 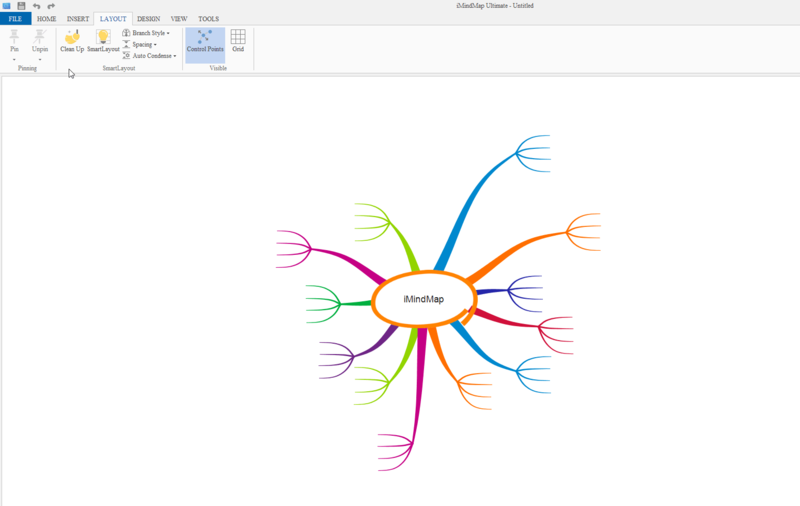 This can be used at any stage of your Mind Mapping, saving you from having to move branches individually.